We’re all familiar with the big hitters of outdoor footwear, so today I’m going to introduce to you a relative newcomer to the scene: Northwest Territory. The name brings to mind the beautiful Great Lakes region of North America, does it not? You might not have heard of them before, but this Northampton-based company has steadily been carving out a reputation for reliable, rugged, and reasonably-priced footwear, perfectly geared towards outdoor work and leisure. 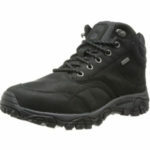 Let’s have a quick look at their Inuvik Trekking Boots for men. 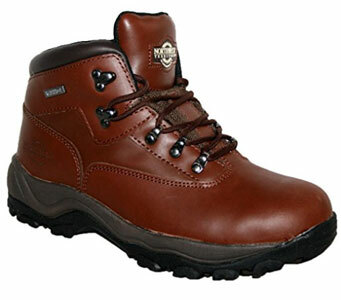 Fully waterproof thanks to its HYDRY membrane, and with a high top for ankle support, these popular walking boots also feature a fully padded insole, and a durable rubber outsole. Possible colours include black, cherry, brown, and waxy brown. Reviews of the Inuvik Trekking Boots consistently highlight the product’s comfort and fit, and many note that the waterproofing reliably stands up to heavy use in the field. 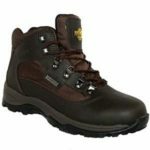 In terms of practicality, quality, and cost, there is a wide consensus that the Inuvik boots are excellent value for money. Essentially, they’re not fancy, but they get the job done. As is natural when purchasing any footwear, buyers should be aware that there are occasional issues relating to size and fit. 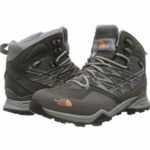 A minority of users complain of large sizing, whilst others mention that the walking boots are tight and hard to break in. To prevent blisters, it’s important to ensure that you have the right size boots before embarking on a walk or hike. 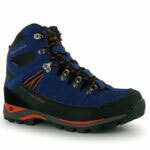 All-in-all, the Inuvik Trekking Boots by Northwest Territory offer solid performance at an agreeable price point. Check them out today on Amazon UK!